This fall, don't fall victim to a data breach. Because the cloud shouldn't be as confusing as the plot of Cloud Atlas! A guide to crafting emails that are as non-threatening as Tom Hanks, but command as much attention as (a 1990s) Meg Ryan. Read this post. Your future self will thank you, most likely via Internet. Would Your Passwords Pass Inspection? Stronger passwords. No leg day required. Try getting the song out of your head. Disclaimer: Reading this article will make you an authority on the issue of net neutrality. SLICE Managed Solutions is not responsible for any hurt feelings that arise from all of the heated debates you will inevitably start and win. If you like money, you will love this article. CYOD: Less Choices, Less Problems? We all know that more money leads to more problems, but could less choices lead to less problems? 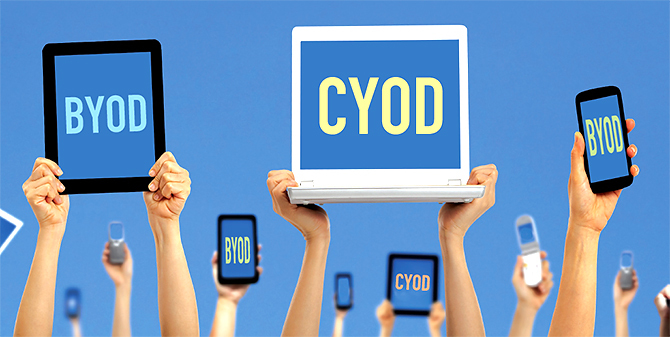 We weigh the pros and cons of CYOD.